New Zealand’s breathtaking South Island is a banquet of visual delights, from its snowcapped alpine peaks and glaciers to the stunning coast of the Tasman Sea. New Zealand’s breathtaking South Island is a banquet of visual delights, from its snowcapped alpine peaks and glaciers to the stunning coast of the Tasman Sea. 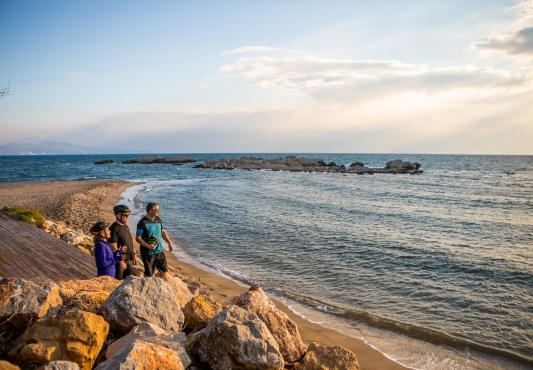 This unique itinerary combines biking and walking on specially designed routes that showcase these natural wonders at their best. You’ll also delve into the country’s pioneer and goldmining history, and meet the welcoming Kiwis who call this astonishing landscape home when you visit a sheep and cattle ranch, sample wines at a local winery, savor two home-cooked meals, and so much more. The majority of rides and all walks on this tour are on purposefully-built trails (the Kiwis have it figured out!). Trails are packed gravel, regularly maintained, away from motorized vehicle traffic, and allow access to the beauty of the country. The roadways that we ride are secondary, quiet, and mostly paved. The VBT van support shuttle is available for a head start, catch-up or, shorter option. This tour also includes a kayaking excursion. Board the TranzAlpine for one of the world's most scenic rail journeys. Spin through forests and farmlands, surrounded by soaring alpine peaks. Pass wetlands, native forest and old mill sites on a dramatic ride along the coast of the Tasman Sea. Delve into New Zealand's early mining days on a stroll on the Ross Water Races Walkway. Kayak through a pristine lagoon teeming with wildlife. Amble along a valley carved by the retreating ice of the Franz Josef Glacier. View a colony of glowworms on the grounds of your Lake Moeraki hotel. Thrill to views of stunning mountains and pristine waters during a picnic at Lake Hawea. 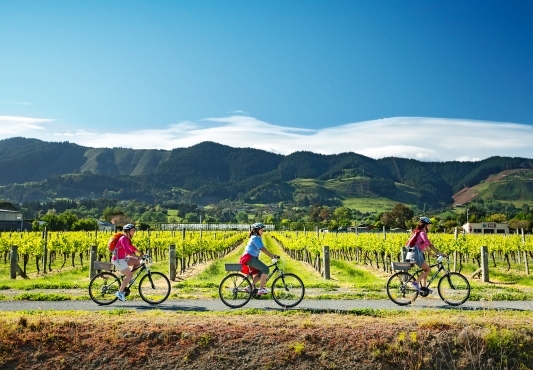 Sample New Zealand's famous wines at a local vineyard. Get a picture of life in pioneer days in Arrowtown. You depart from home for Christchurch. The particulars of your arrival are detailed with your flight itinerary. Upon arrival at the Christchurch airport, gather your luggage at the international baggage collection area and proceed through the terminal exit Door #7. The Super Shuttle rank is located outside the International Arrivals Hall, next to the taxi rank. Look for the Super Shuttle vehicle. Give the driver your name and let them know that you are with VBT. Transfer (approximately 30 minutes) to your Christchurch hotel. If your flight is delayed, please notify Super Shuttle at 0800-748885. Once you arrive at the hotel, the rest of the day is yours to relax or explore. VBT provides you with City Information that includes recommendations on what to see and do in Christchurch during your stay. Your hotel room may not be available until 2:00 p.m. If you are early, you may store your luggage at the reception desk. We highly recommend a walk out of the hotel and through the adjacent Hagley Park and the Botanical Gardens. The Canterbury Museum, Memorial Bridge and the re-energized Central Business District (CBD) are on the other side of the park and are well worth a visit. Please note: VBT transfer times and departure points are finalized in advance and cannot be modified for individual guests. If you fly in earlier than the scheduled program dates, transportation from the airport will be at your own expense. VBT Air Package and Pre-Trip Extension guests: Enjoy an included New Zealand breakfast. 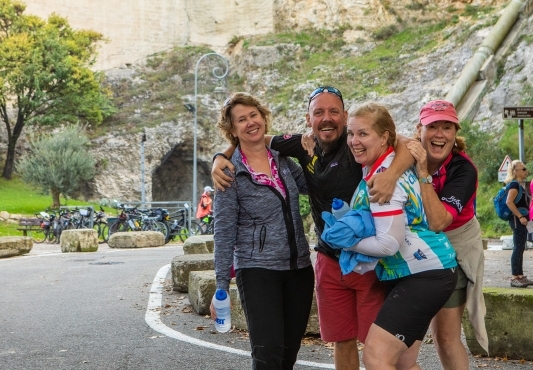 At 9:00 a.m., meet your Trip Leaders at the hotel for a safety clinic and bike-fitting session. Trip Leaders will be wearing VBT staff garments. This will be followed by a warm-up ride directly from the hotel, riding primarily on trails in Hagley Park. Back in Christchurch early this evening, you will join your fellow travelers for a welcome reception, then dine with the group and toast your upcoming journey in wonderful New Zealand. After breakfast, shuttle with your Trip Leaders to the Christchurch train station to board the 8:15 a.m. TranzAlpine for one of the world’s most scenic rail journeys. Your train takes you through the vast Canterbury Plains and traverses the scenic gorges and river valleys of the Waimakariri River. The snow-capped peaks of the magnificent Southern Alps soon appear as you climb 2,300 feet toward Arthur’s Pass, the South Island’s highest settlement, surrounded by steep-sloped mountains. You depart the train at Arthur’s Pass, rejoining your shuttle for a short drive to Kumara for lunch in a historic pub. This afternoon’s ride is toward Greymouth and the coast. Off of the busy roadway, enjoy a scenic reel through lush forests and some of New Zealand’s famed dairy farms, the soaring peaks marking your progress. Be on the look-out for local bird life that includes Bellbirds, Tui, Kereru (the native pigeon) and the Kotuku, the white heron. 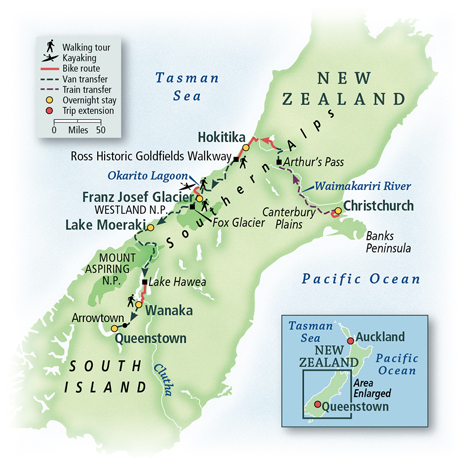 Following the West Coast Wilderness Trail, you will gradually descend to the Tasman Sea, before arriving in the region’s largest town, Greymouth. At the end of your ride, hop the shuttle to the seaside town of Hokitika, a former gold-rush town once crowded with prospectors. At one time, the main street was lined with more than 80 hotels. Today there are only six. This evening, you have free time to enjoy dinner on your own. Later, you might take a relaxing walk along the beach and look skyward for the Southern Cross, visible year-round from the Southern Hemisphere. The Southern Cross contains four stars that depict the extremities of a Latin cross. The stars are very bright and close together, making the constellation easy to spot. 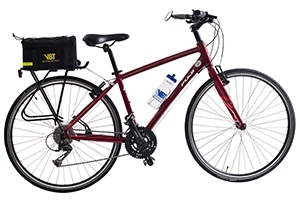 Today, you will enjoy a rewarding mix of biking and walking. Begin after breakfast with a visit to the Greenstone Jade Gallery, where you can admire beautiful pieces carved from this native stone. Later, return to your lodge and pedal out along the delightful West Coast Wilderness Trail, part of the New Zealand Cycle Trail that traces the dramatic shores of the Tasman Sea. Your ride passes wetlands, native forest and old mill sites, and stunning views of Lake Mahinapua can be seen with a short walk from the trail. On a clear day, you will see Mt. Cook and Mt. Tasman rising inland. The tidal Totara lagoon marks the home stretch of your morning ride as you approach the township of Ross. This seaside town is on the edge of Westland National Park, a stunning canvas of towering mountains, dramatic waterfalls and icy, gray-blue rivers tumbling down to the Tasman Sea. The centerpiece of this stunning wilderness is the Franz Josef Glacier, one of the world’s few glaciers that still exhibit a cycle of advance and retreat. In Ross, you will leave your bike to join the Ross Historic Goldfields walk for a glimpse of the township’s past. Follow the Ross Water Races Walkway uphill to an old water race, or aqueduct, traversing a regenerating native forest. As you hike, you can stop to view old gold-mining sites such as tunnels and dams. The footpath ends at the original Ross Cemetery, where you can contemplate interesting headstones that portray the harshness of life in coastal New Zealand’s early mining days. After, enjoy a well-earned picnic lunch prepared by your Trip Leaders. This afternoon, shuttle to your accommodation in Franz Josef. Spend free time in this lively town before an included dinner. This afternoon, you may choose to embark on a heli-hiking adventure of Franz Josef Glacier (at your own expense). You will board a helicopter and take wing over the massive ice field, landing on its white expanse for a guided walk. 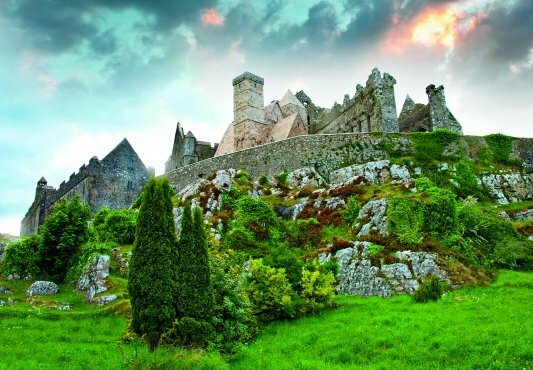 It’s a thrilling excursion in an unspoiled setting that few travelers experience. Because it is not possible to guarantee space on an excursion, especially during high season (mid-December to mid-February), we recommend booking in advance of travel to guarantee your space. Know that your flight must be booked for your layover day in Franz Josef, at 3:00 p.m. or later, and that you will miss the afternoon walk on this day. Should you prefer a scenic helicopter or plane ride over the glacier without the glacier walk, your Trip Leaders will help you make a reservation once you’re on tour. The day’s activities begin with a quick shuttle to the “wee” town of Okarito, home to just a few dozen residents. Booker Prize-winning author Keri Hulme lived here and eventually moved away when she found the town to be too big for her! Upon arrival, head to the shore of the Okarito Lagoon, New Zealand’s largest unmodified wetland. Here, you will don kayak gear and push off with a guide into unspoiled waters teeming with wildlife. More than 70 species of birds make their home here, including the rare kotuku, the Eastern great egret. As you ply the still surface, savor the peace and tranquility of this special place. For closer views of this wildlife haven, disembark your kayak for a walk along a trail built above the shore, affording access to the lagoon’s unique flora and local birds. Before an afternoon walk affording spectacular views over the lagoon, we’ll sit together in the town’s hall to enjoy a home-cooked meal. Later, return to Franz Josef where you can enjoy dinner on your own at one of the many local restaurants. This is New Zealand’s Glacier Country, and if the weather allows, your morning and afternoon walks present an opportunity to witness their majesty up close and learn a bit about glaciology along the way. First, walk up the valley carved by the retreating ice of the Franz Josef Glacier. At a viewing platform, marvel at the blue, marble-like sheen of the vast ice expanse. Perhaps you will see deep crevasses where ice floes have been ripped apart by the slow march of the glacier. Continue your walk in the Fox Glacier area, circumnavigating Lake Matheson, the pristine body of water left behind during Fox’s retreat millennia ago and an important food gathering place for the Maori. The lake’s excellent mirror-like reflecting properties are due to the dark brown color of the water, the result of organic matter leached from the humus of the forest floor. Walk among the ancient podocarp hardwood forest, also passing tall white pine and red pine trees. The temperate forest leads to the “View of Views” at the top end of the lake: On a clear day, the water’s glassy surface reflects Mt. Cook, also known as Aoraki, New Zealand’s tallest peak at 12,218 feet. Continue on to the Lake Moeraki Wilderness Lodge. Surrounded by a thriving 1,000-year-old rainforest and a pristine seacoast, the lodge is perfectly situated for outdoor exploration and activity—or just relaxing and taking in the wonders of nature. The owner of the lodge, Dr. Gerry McSweeney, is the former president of the New Zealand Royal Forest and Bird Protection Society, the country’s largest environmental organization. Accordingly, the lodge is committed to the protection of the environment. Dinner this evening is in the lodge’s dining room, which overlooks the wilderness area. Later, you may wish to join your lodge host for a walk on the grounds to view a colony of glowworms! Set your own pace today as you take advantage of the lodge’s many outdoor activities. 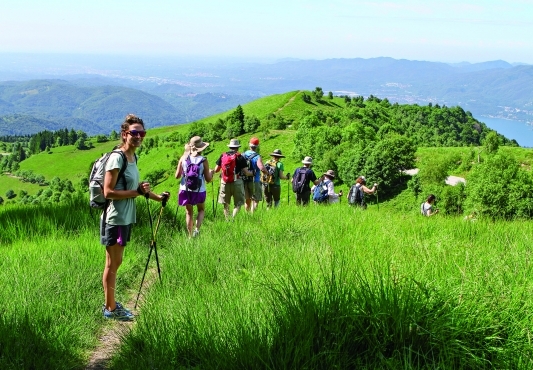 After breakfast, you can plan your day around your choice of complementary excursions, or opt to join a guided walk of 60 to 90 minutes (for an additonal charge). Perhaps you will join a birding walk or enjoy canoe instruction on the waters of Lake Moeraki. Additional activities such as a rainforest walk, freshwater eel feeding, a night sky walk or historical talks may incur extra costs. After a rewarding day of exploration and lunch on your own, rejoin the group for dinner at the lodge. After breakfast, board a two-hour shuttle (the longest transfer of the trip) to Hawea on the southern shore of Lake Hawea. En route, we’ll stop for a short but memorable walk to witness the amazing water of the Blue Pools. We’ll stop at a classic roadside café for lunch on your own. On reaching the very blue Lake Hawea, get on your bicycle to join the Hawea River Track, part of a purpose-built cycling and walking trail linking Hawea to Wanaka via Albert Town. As you ride, take in spectacular views along the Hawea River and of the high peaks behind Wanaka. Pedal through kanuka groves and shady woodland and along river terraces. Continue on a dedicated trail into Wanaka—gateway to Mt. Aspiring National Park—riding along the namesake lake, through the township and directly to our lakefront accommodations. Spend two nights in charming Wanaka. Your comfortable lodging overlooks the magnificent Southern Alps and deep blue Lake Wanaka. Experience the very best of Wanaka and New Zealand’s famed Otago region today, marveling at sweeping wilderness views and visiting with locals at their charming ranch. 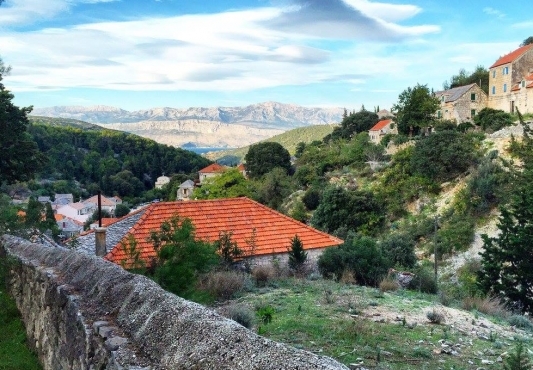 After breakfast, lace up your hiking boots for a walk on Mt. Iron, a glacier-carved knoll on the edge of town. From the summit, take time to admire a magnificent panorama. Lakes Wanaka and Hawea glisten like pearls amid the undulating Cardrona and Clutha valleys and the soaring peaks of the Southern Alps and Mt. Aspiring National Park. Midday, you are welcomed into the sheep and cattle station home of VBT friends Allannah and Duncan. At their sprawling ranch, they breed and raise livestock and tend to a lush garden of local vegetables and fruit. Enjoy a tour around the property, see the shepherding dogs at work, and enjoy a home-cooked meal, hearing about life on a Kiwi ranch. 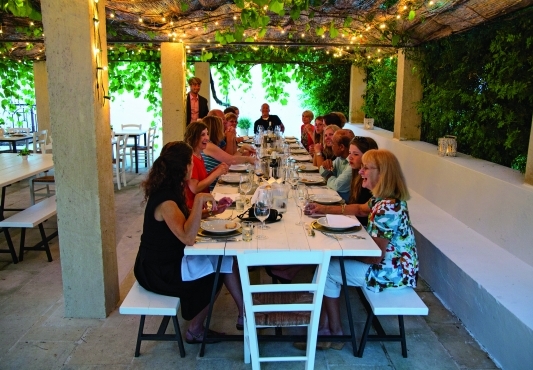 Later, sample more of Otago’s and Wanaka’s products at a local vineyard, with time to stroll on the grounds and admire vistas of the lake and mountains. Back in town, enjoy free time before gathering for your final farewell dinner this evening. VBT Air Package guests: After breakfast, shuttle to nearby Arrowtown, a quaint “wild west” style village with a rich gold mining past. There’ll be time here to walk along the banks of the Arrow River, getting a picture of life in the days of the pioneers who settled here during the height of the Otago gold rush. Relax with a mid-morning coffee in a charming café, or look for a keepsake by which to remember your journey. Then, continue to Queenstown’s airport, arriving at 12:00 noon. VBT Post-Trip Extension guests: After breakfast, shuttle to nearby Arrowtown, a quaint “wild west” style village with a rich gold mining past. There’ll be time here to walk along the banks of the Arrow River, getting a picture of life in the days of the pioneers who settled here during the height of the Otago gold rush. Relax with a mid-morning coffee in a charming café, or look for a keepsake by which to remember your journey. Then, continue to Queenstown to settle into your lakeside hotel. You are then free to head out to explore this lively and vibrant town in a sweeping mountain setting. Perhaps you will embark the historic S.S. Earnslaw and take a leisurely cruise on Lake Wakatipu to a sheep station, or rise above Queenstown on a scenic gondola ride. After a day of exploration, relax at the hotel this evening. Dinner is on your own tonight. VBT provides you with City Information that includes recommendations on what to see and do in Queenstown during your stay. Please note: VBT transfer times and departure points are finalized in advance and cannot be modified for individual guests. If you extend your stay beyond the scheduled program dates, return transportation to the airport will be at your own expense. VBT-Vacation-only guests: Please plan to arrive at your Christchurch hotel by 9:00 a.m. If you are unable to arrive before 9:00 a.m., please contact the hotel so the staff may advise your Trip Leaders. VBT-Vacation-only guests: After breakfast, shuttle to nearby Arrowtown, a quaint “wild west” style village with a rich gold mining past. There’ll be time here to walk along the banks of the Arrow River, getting a picture of life in the days of the pioneers who settled here during the height of the Otago gold rush. Relax with a mid-morning coffee in a charming café, or look for a keepsake by which to remember your journey. Then, continue to Queenstown’s airport, arriving at 12:00 noon. Edgewater lies right at the water’s edge of Lake Wanaka. It is the perfect destination to experience all that Central Otago’s seasons have to offer. At Edgewater you’ll find genuine local knowledge that complements inviting accommodation and an enticing seasonal menu. Set on the edge of tiny Franz Josef village on the South Islands west coast, the warm and welcoming Scenic Hotel Franz Josef Glacier provides quality accommodation for visitors to the glacier, rainforest, and Westland World Heritage Park. The hotel makes the most of its alpine location and offers spa pools to soak in, wireless Internet, and two restaurants. Each room has a refrigerator and a minibar with tea- and coffee-making facilities. Owned by local ecologists, this nature-lover’s riverside paradise is set amid the rainforest of South Westland. The luxury lodge is landscaped into the rainforest with lawns flowing down to the river’s edge, where there are jumping trout, water birds, and stunning reflections. 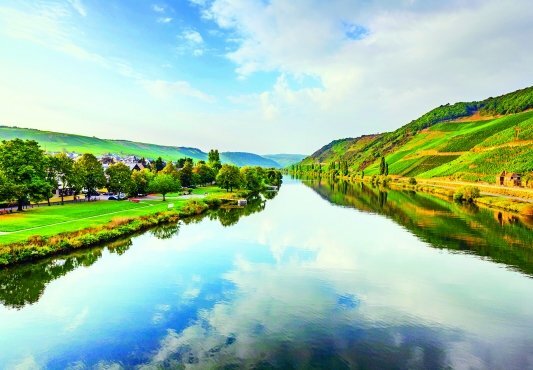 View them all from the Riverside Restaurant and Lounge, where you can relax, read, enjoy a drink from the wine cellar, and enjoy great wilderness food. The Chateau on the Park is a resort-style hotel tucked between Hagley Park and the beautiful historic home and gardens of Mona Vale, just minutes from the center of Christchurch. Nestled in 5 acres of beautiful and tranquil gardens, the 193-room Chateau on the Park offers a unique escape, seemingly a world away from city life. This seaside hotel on the West Coast has been in the same family for 120 years, making for a unique experience of true Kiwi hospitality. Its location offers the best of two worlds. In the center of a historic gold-mining town, charming streets are right outside your door for strolling. And since it overlooks the Tasman Sea, the beach is your backyard, and its comfortable restaurant and bar offer great ocean views. Depart from home for Auckland, New Zealand. The particulars of your arrival overseas are detailed with your final air itinerary. Upon arrival at the Auckland International Airport, collect your luggage and make your way to Door 8 and the Super Shuttle rank. Give the driver your name and let them know that you are with VBT. Transfer via Super Shuttle to your hotel (approximately 45 minutes). If your flight is delayed, please notify Super Shuttle at 0800-748885. Once you arrive at the hotel, the rest of the day is yours to relax or explore. Your hotel room may not be available until 2:00 p.m. If you are early, you may store your luggage at the reception desk. VBT provides you with City Information that includes recommendations on what to see and do in Auckland during your stay. Please note: VBT transfer times and departure points are finalized in advance and cannot be modified for individual guests. Auckland provides an abundance of activities to suit innumerable interests, from museum-going to hiking, from shopping to boating. The Auckland Museum, standing regally in the Auckland Domain, the city’s oldest park, chronicles the nation’s long history. The Auckland Art Gallery boasts fine works from national and international artists. You’ll find many opportunities to stroll the waterfront among the busy marinas. Or hop a ferry across the Waitemata Harbor to the charming seaside village of Devonport, where you may browse galleries and shops and stop in a restaurant on Queen Street. Your hotel’s location on the waterfront provides an ideal base for exploring New Zealand’s largest city. Auckland enjoys a supreme setting on a narrow isthmus between two harbors, Waitemata and Manukau. In the “City of Sails,” so called for its many boating enthusiasts, more than 135,000 yachts and launches are registered. No doubt you’ll see many of them, their masts pointing skyward from their marinas, as you continue to explore today. Perhaps you’ll meander among the blooms at the Auckland Botanic Gardens or ascend the Sky Tower, the tallest freestanding structure in the Southern Hemisphere, for sweeping city views. After breakfast, your Super Shuttle transports you from your Auckland Hotel to the airport for your flight to Christchurch. Please verify with the front desk the pick-up time for your transfer to the airport. Upon arrival at the Christchurch airport, gather your luggage at the domestic baggage collection area and proceed through the terminal exit Door #7. The Super Shuttle rank is located outside the International Arrivals Hall, next to the taxi rank. Look for your next Super Shuttle vehicle. Give the driver your name and let them know that you are with VBT. 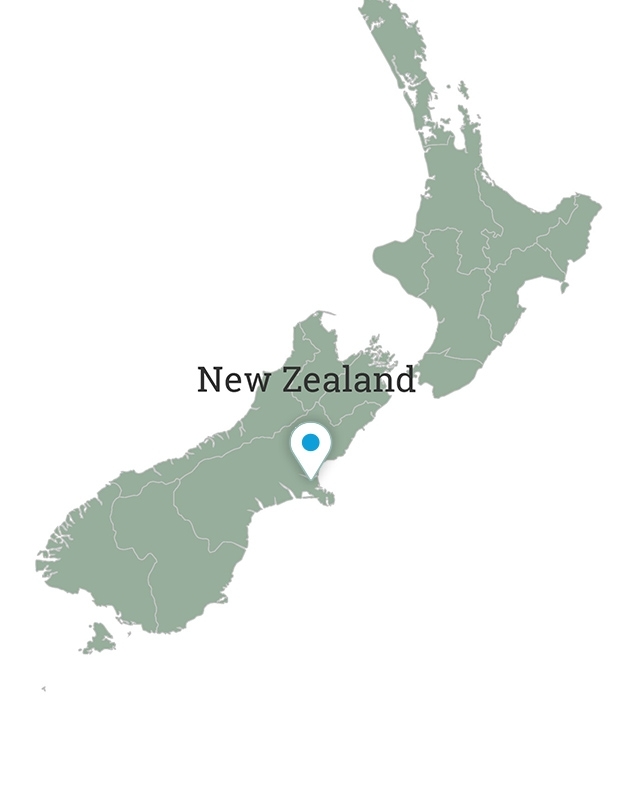 Transfer (approximately 30 minutes) to your hotel in Christchurch. If your flight is delayed, please notify Super Shuttle at 0800-748885. Once you arrive at the hotel, the rest of the day is yours to relax or explore. Your hotel room may not be available until 2:00 p.m. If you are early, you may store your luggage at the reception desk. VBT provides you with City Information that includes recommendations on what to see and do in Christchurch during your stay. We highly recommend a walk out of the hotel and through the adjacent Hagley Park and the Botanical Gardens. The Canterbury Museum, Memorial Bridge and the re-energized Central Business District (CBD) are on the other side of the park and are well worth a visit. VBT Air Package guests arrive throughout the day. After breakfast, shuttle to nearby Arrowtown, a quaint “wild west” style village with a rich gold mining past. There’ll be time here to walk along the banks of the Arrow River, getting a picture of life in the days of the pioneers who settled here during the height of the Otago gold rush. Relax with a mid-morning coffee in a charming café, or look for a keepsake by which to remember your journey. Then, continue to Queenstown to settle into your lakeside hotel. You are then free to head out to explore this lively and vibrant town in a sweeping mountain setting. Perhaps you will embark the historic S.S. Earnslaw and take a leisurely cruise on Lake Wakatipu to a sheep station, or rise above Queenstown on a scenic gondola ride. After a day of exploration, relax at the hotel this evening. Dinner is on your own tonight. VBT provides you with City Information that includes recommendations on what to see and do in Queenstown during your stay. Continue your independent discovery. Renowned for its spirit of adventure, Queenstown offers many ways for you to immerse yourself fully in the great outdoors. Perhaps you will be bold enough to try bungee-jumping or take a thrilling jet-boat ride through the Shotover River Canyons. If you prefer a more relaxing option, join an excursion to breathtaking Milford Sound. Lunch and dinner are on your own today. 12 days, includes round-trip international airfare, airport shuttle, and additional hotel nights with included breakfast. 9 Days. Includes VBT vacation only. 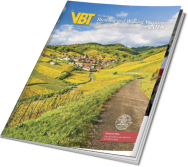 What is the VBT Sustainable Travel Committee?